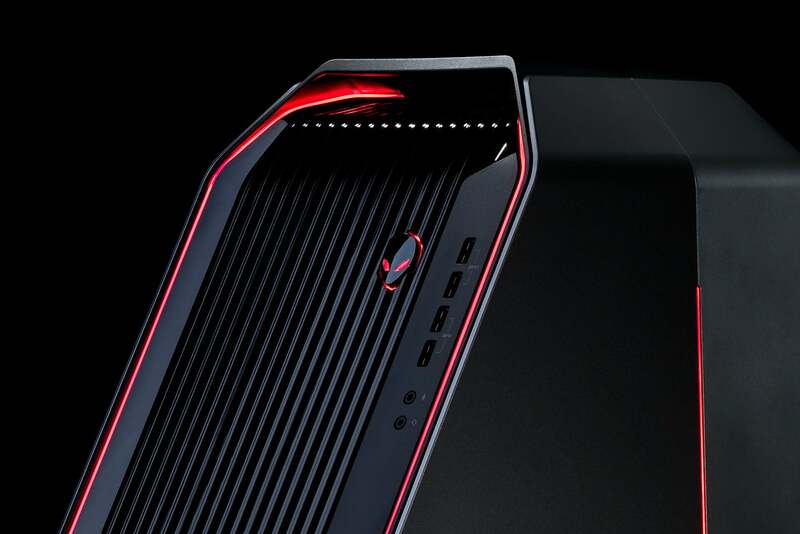 THE ALIENWARE AREA-51 R7 IS REENGINEERED TO SHOW WHAT A GAMING MACHINE CAN DO. The Area-51 R7 now delivers the world’s first 7 nm gaming GPU, created to deliver powerful megatasking support and incredible 4K experience. Radeon VII™ sports 16 GB of memory and 1 TB/s of bandwidth, making it AMD’s most powerful graphics card. With double the memory when compared to similar cards, it enables consistent high frame rates for 4K games. EXCLUSIVE TO THE 2ND GEN RYZEN THREADRIPPER, OUR 12 AND 16 CORE OPTIONS ALLOW THE CPU TO ADAPT FOR LOWER POWER CONSUMPTION, BETTER PERFORMANCE, AND COOLER OPERATION. Upgrade your graphics cards with ease, security, and no tools. We know, and have lived, with the nuances of the desktop life. Our Triad design makes it as easy as possible. Thermal management is everything. Triad makes sure airflow is maximized. Now capable of over 16 million colors per zone. Experience room-scale gameplay, precise motion tracking and natural controller gestures with our HTC-optimized machines.